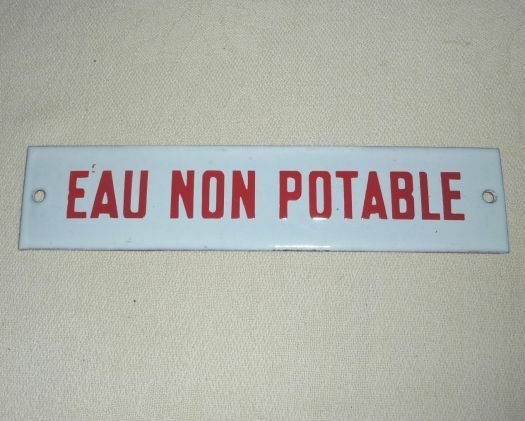 Nice small sign, a little curved, as old signs. 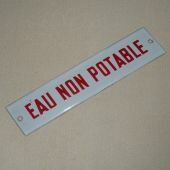 "Eau non potable" means not drinking-water. 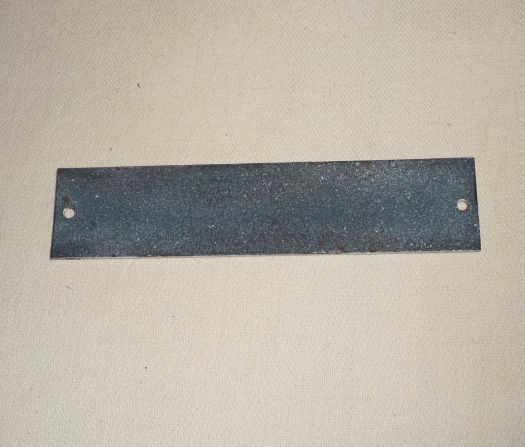 18 cm x 4 cm.